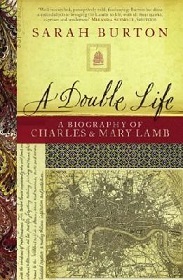 Charles and Mary Lamb, brother and sister, lived at the heart of the Romantic movement and counted among their friends Wordsworth, Coleridge, Hazlitt and Shelley. Charles was one of England's finest essayists and together with Mary wrote Tales from Shakespeare, which has never been out of print. Yet tragedy haunted the pair - Mary killed their mother during an attack of madness and was regularly confined in asylums while Charles lost himself to alcohol. Together the Lambs lived an extraordinary and fascinating double life among London's gilded literary elite as well as in its darker corners, in cheap rented rooms and the madhouses of the East End.